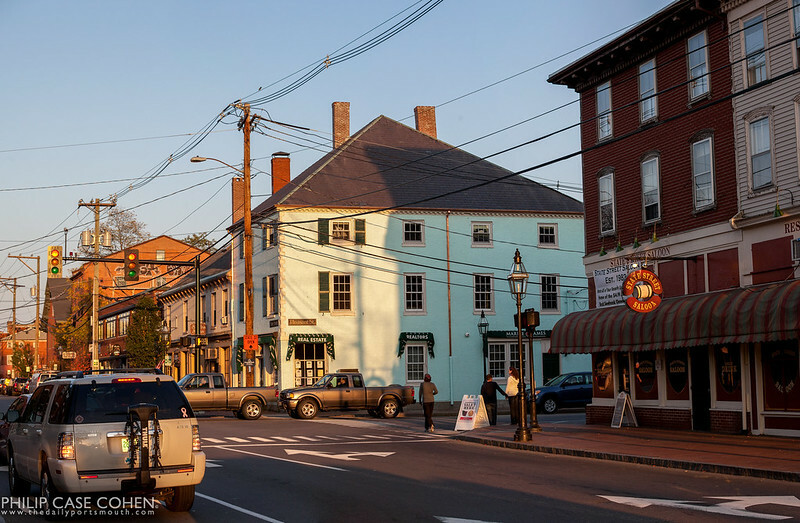 Bow Street is one of my favorite streets in all of Portsmouth, for many reasons. 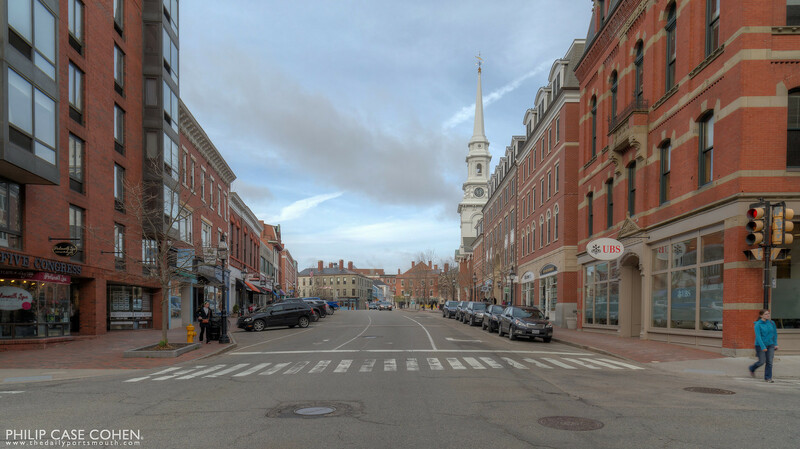 One of the reasons is the beautiful curve that the street takes from the Memorial Bridge towards Market Street, highlighting the curve of the waterfront and the decks that adorn the opposite side of the buildings seen in this panoramic photo. 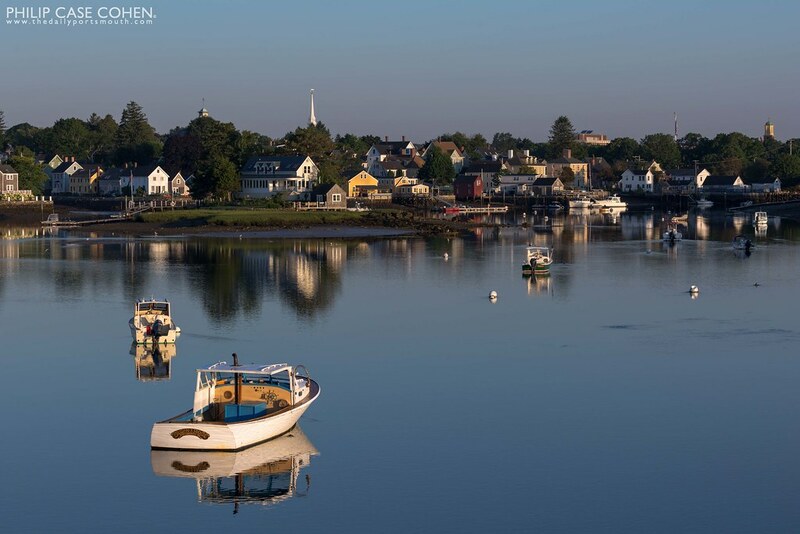 The earlier sunsets and the dynamic weather lately haven’t provided me with many chances to get out for sunset. 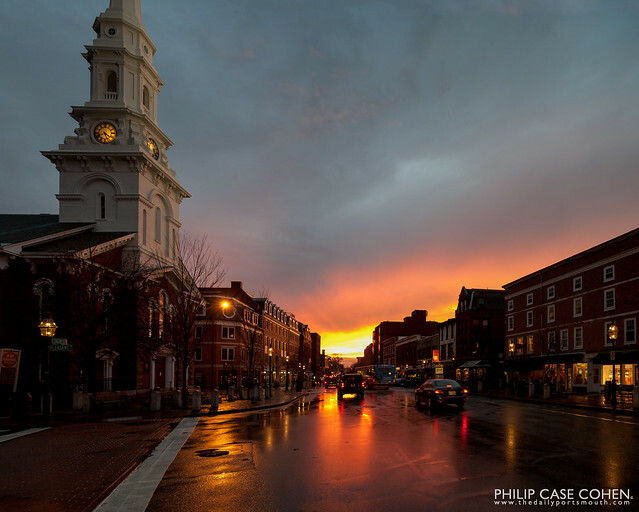 Sunset on Tuesday afternoon was an exception – running out of the office early for an appointment, I noticed an incredible rainbow over the Custom House as seen from the parking lot of People’s United Bank. 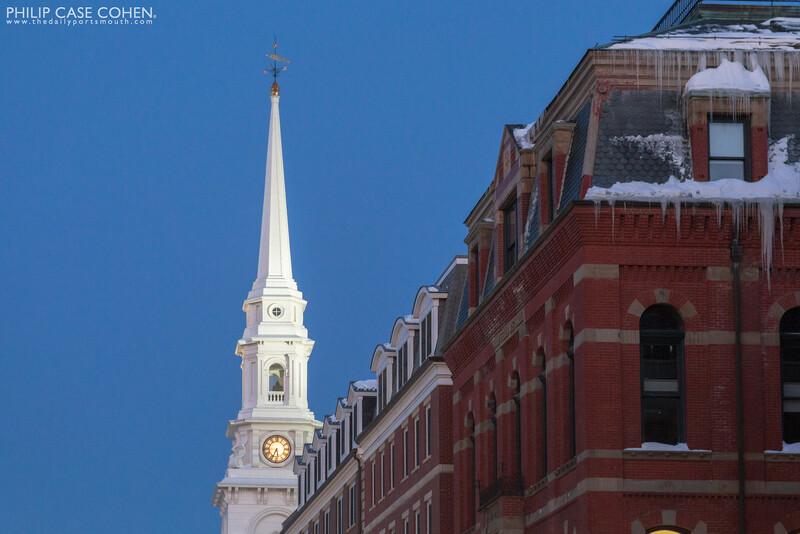 Of course I grabbed my camera and headed towards my appointment, but first made sure that I was able to make a stop on Congress Street to capture this scene. 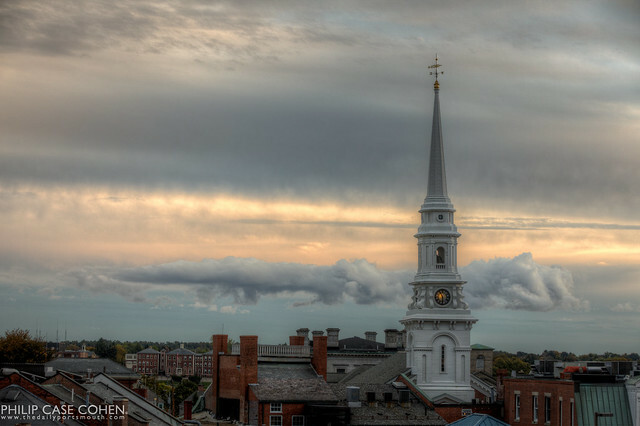 A big textured cloud was hovering out towards the horizon at the end of the day behind the North Church steeple. I love the old roofs of the downtown buildings and the fact that the City Hall complex can be seen in the distance from this vantage.